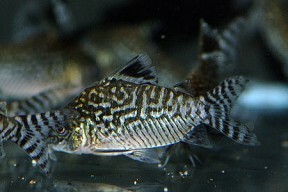 Like most corys, C. reticulatus is most easily sexed when viewed from above. Females are noticeably rounder and broader-bodied than females, especially when full of eggs. Also known as the network cory, this is one of the commoner species seen in dealers tanks, and is a good cory for the beginner.